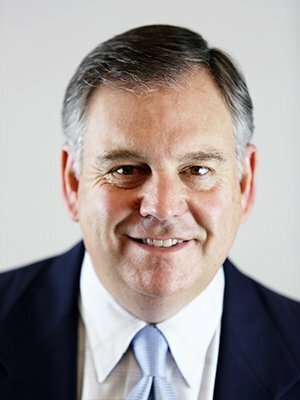 David, an Associate Partner, has been with Tax & Financial Group since 1987. For over 30 years, he has specialized in guiding individuals, families, and businesses with the accumulation and preservation of wealth through comprehensive investment, retirement, estate, and business strategies as well as life, health, and disability insurance programs. David is a Qualifying and Life Member of the Million Dollar Round Table (MDRT), an international network of leading financial services professionals who serve their clients by exemplary performance and the highest standards of ethics, knowledge, service and productivity. David was honored with the Samuel R. Weems award in 2003 for his high standards in professionalism and continued contributions to MDRT. Additionally, he is a National Quality Award recipient and also served on several MDRT Ethics Committees. David enjoys giving back to the industry through mentoring other professionals and speaking to groups about his personal and career experiences. He has been a featured speaker for many organizations including: MDRT, the National Association of Insurance and Financial Advisors, Securian Schools, Securian affiliated firms throughout the country, and insurance company sales forces. David has been featured in multiple media outlets including the websites of the New York Daily News, Reuters, Yahoo Finance, and the Boston Globe. In addition to the industry, David has also given back to his community. A former college and professional baseball player, in 2004 he gathered four other parents in his hometown and established the Ladera Ranch Little League, serving as their first President. The league has grown to 83 teams with over 1,000 participants. The city of Ladera Ranch and Senator Mark Wyland chose him as the 2013 Ladera Ranch Volunteer of the Year. David graduated from UCLA with a Bachelor of Science in Economics in 1986. Since then, he earned the Series 6, 63, and 65 securities registrations. David is a Registered Representative with Securian Financial Services Inc., member FINRA/SIPC. David resides in Ladera Ranch, California, with his wife Susan and four children. "In servicing my clients, I shall, in light of all circumstances, recommend that course of action, or provide that service which, had I been in the same situation, I would have applied to myself." Awards and club membership are based primarily on commissions, premiums, or fees generated from investment and insurance products and other criteria relative to leadership, achievement, and recruiting. Working with this individual or firm is not a guarantee of future financial results. Investors should conduct their own evaluation. Million Dollar Round Table (MDRT) is an independent membership organization of life insurance and financial service professionals. Membership levels are based on commissions, premiums, or fees generated within a year from investment and insurance products. Members must apply annually and pay a fee. Members must be members in good standing of a Professional Association which has met the following criteria: in existence at least 2 years, have 100 or more members, must be a nonprofit organization, must have a code of ethics and an effective means of dealing with breaches of its code. Members must also adhere to the MDRT Code of Ethics. Working with this advisor is not a guarantee of future financial results. Investors should conduct their own evaluation.